Drop by and give curling a shot at the Richmond open house from 2 to 6 p.m. at the Richmond Curling Centre. If you’ve ever been curious about that game where they throws rocks down the ice, here’s your chance to give it a shot. 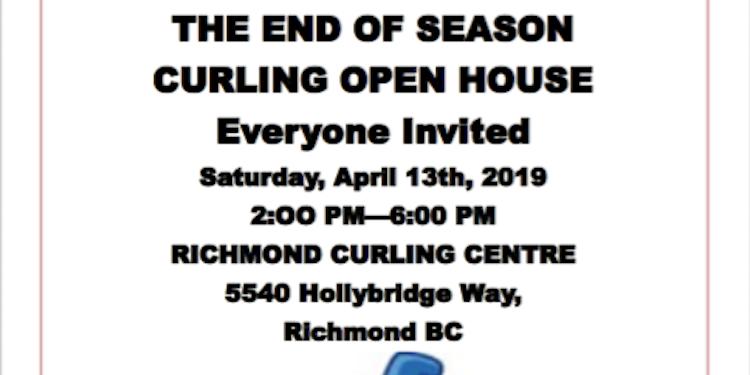 The Richmond Curling Centre is hosting an end-of-season open house on Saturday, April 13 from 2 to 6 p.m. Curling is played with two teams, traditionally with four players per side who take turns sliding the polished granite stones (known as rocks or stones) across the ice (known as a curling sheet) towards a target resembling a dart board (known as the house). Each team is provided with eight stones, with each player throwing two. The goal is to finish the game with the most points. Points are scored by stones resting closest to the centre of the house after each end of play. The curling centre is located at 5540 Hollybridge Way.